1 Indian dying every 4 minutes can’t be left attended. Road Deaths – India Choro…. •With 35% of Accidental Deaths in India happening due to Road Accidents, it’s the single biggest contributor to Unnatural deaths among Indians. 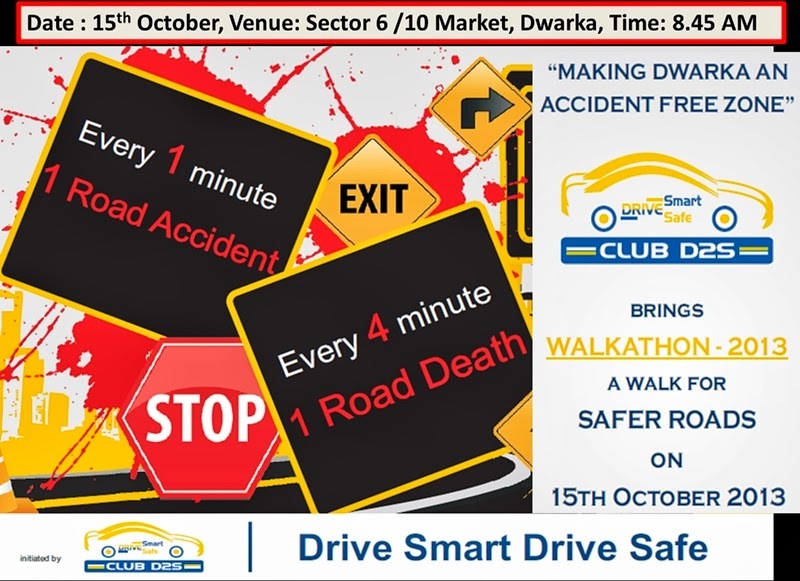 Join us at “Drive Smart, Drive Safe – Dwarka Walkathon” on 15th October at sector 6 Market Red Light @ 8.45 am… 300 school kids from 5 schools are expected to participate….